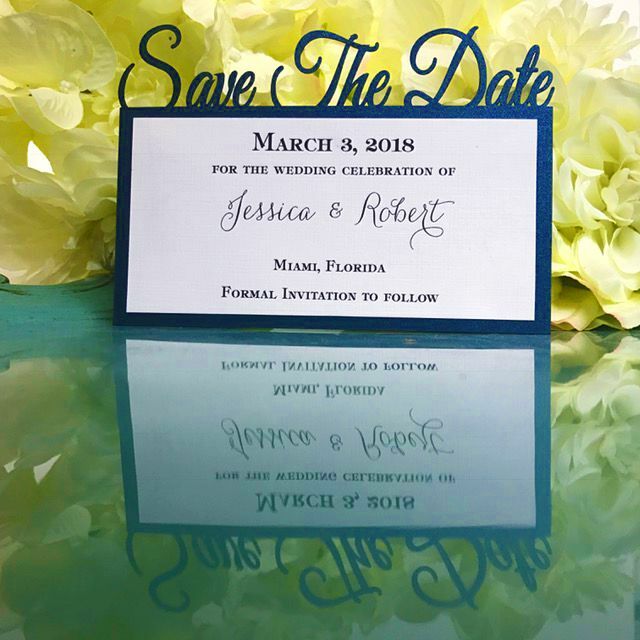 Save-the-Date with the date! 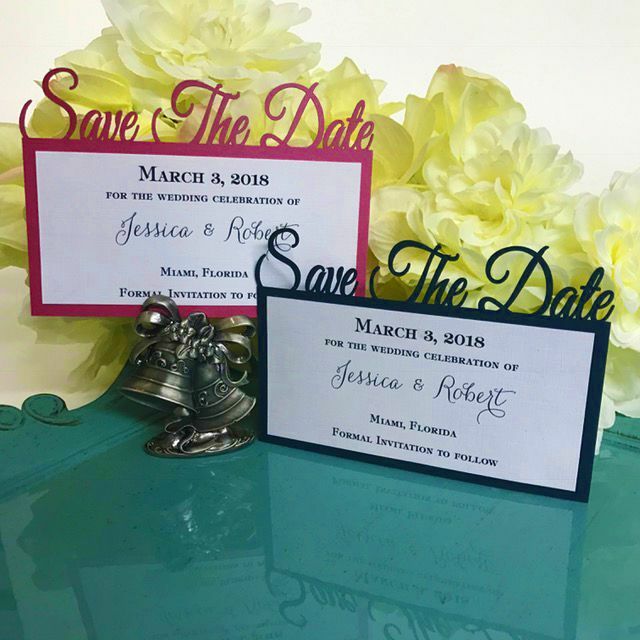 This laser cut Save-The-Date features your wedding date at the top of the card with a mounted layer with additional details. 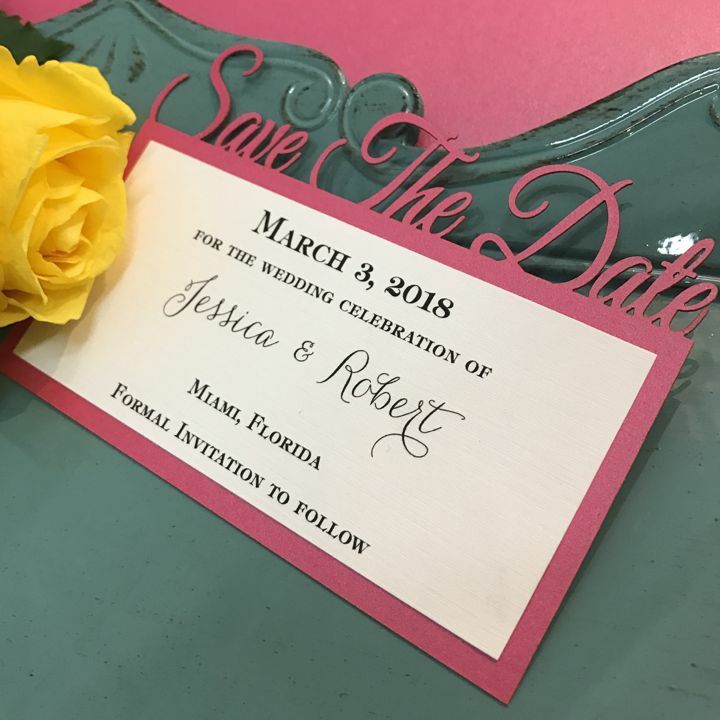 Type or paste wording here, or email after purchase. 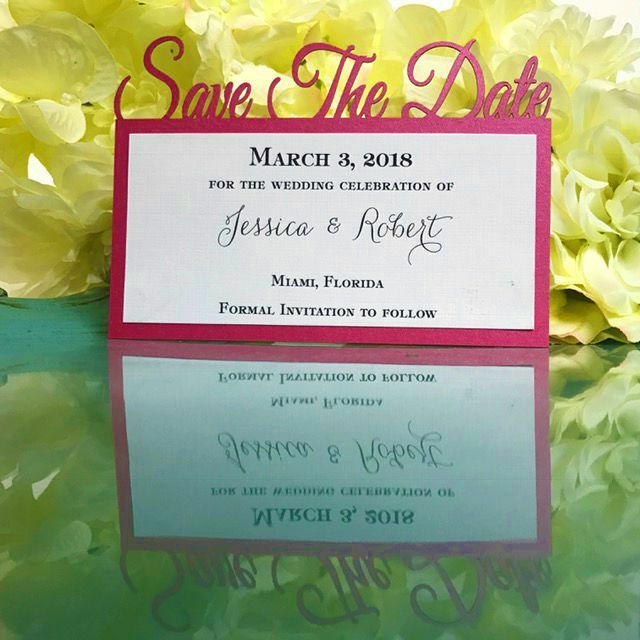 Save-the-Date announcement with laser cut with "Save-The-Date" at the top of the card with a mounted layer with additional details.